John Williams is the composer behind some of the most iconic music in movie history, so it’s hardly surprising that his fans would want to honor him and the impact his work has had on their lives. However, the way a pair of young musicians named Bryce Hayashi and Michael “Mickle” Miller decided to show their love of Williams’ music is a little surprising. Recently, Hayashi grabbed his trumpet and Miller grabbed his flugelhorn, and the two of them stood right outside of John Williams’ house and played Star Wars music while someone stood off to the side and filmed it. 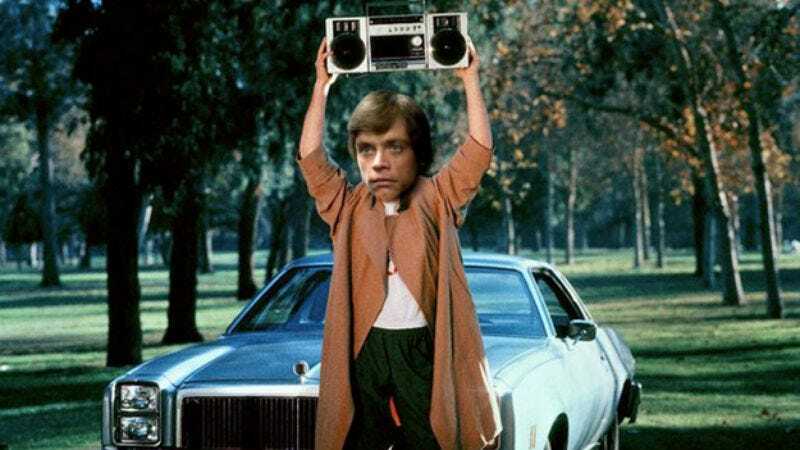 The whole thing seems like a nerdier take on the “In Your Eyes” scene from Say Anything, but with two teenagers playing Star Wars music for an old man instead of John Cusack declaring his love for Ione Skye. There’s a slight twist, though: It turns out that Williams is home at the time and actually listens to these kids play his song, and at the end he comes out to shake their hands. Naturally, the boys freak out, and it’s all very cute.